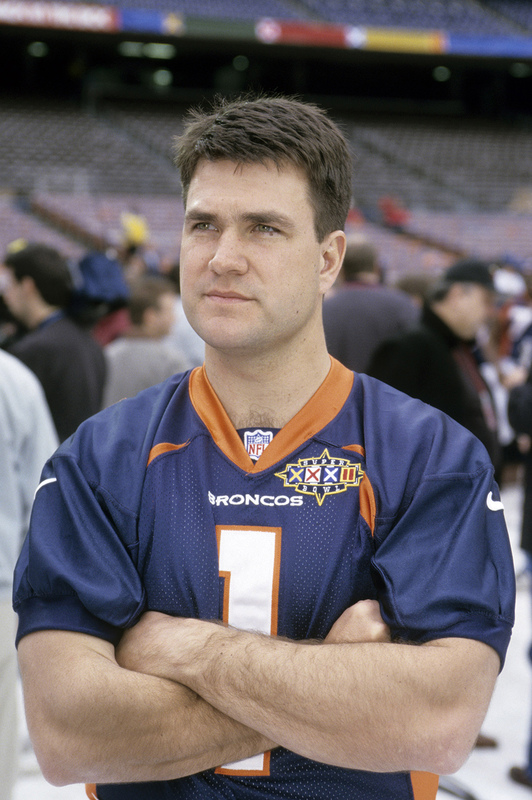 Denver Broncos kicker Jason Elam at Media Day on January 20, 1998, at Qualcomm Stadium in San Diego, California. Broncos kicker Jason Elam ties a 28-year old NFL record by making a 63-yard field-goal attempt vs. Jacksonville at Mile High Stadium. The record-tying kick comes in the final seconds of the first half in a game won by the Broncos, 37-24.